In today’s world, makeup has been our day to day thing to do. Women are looking for ways to enhance their beauty using different ways of wearing makeup. It has met so many mishaps with many getting it wrong and eventually becoming expert in doing it. Back in the days, makeup was for cover models and actresses. You could look in the magazines and, in the movies, and admire how the models look good and always seems to have their makeup on point. One of the trends that always had women wondering is the smoky eyes. It has been a trend that has been worn for long. Many models and actresses and media personalities have been pulling this look and end up looking stunning and beautiful. That does not mean you cannot do it too, it is not for the people in the magazines only. More and more females have been following the trend and just want the look. Do they get it right? Well sometimes it is a disaster and one look like she has a black eye for the first time but with practice, they have perfected the art and have become the expert in their own makeup. Are you tired of the same old way of putting on makeup? Are you ready to experiment with a new look that will leave people staring and wondering what you have done to yourself? You need to read along and discover how simple it is to have a smoky look, are you ready? Let’s dig in. 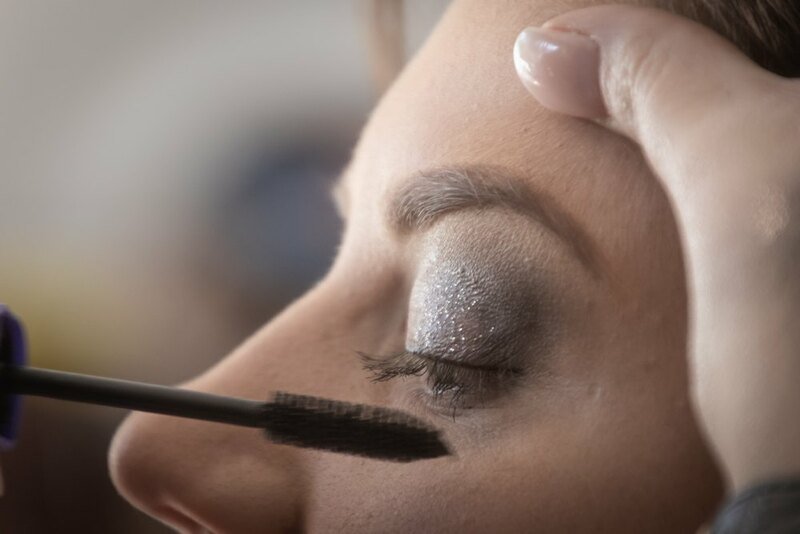 In the makeup world, many makeup artists consider smoky eye makeup to be a signature look. It is a look that you can go for when you want a change and want to stand out. When you pull off the smoky look, you strike your beauty well and look dramatically beautiful, when should you do the look? Off Couse just because you want to have the look does not mean that you can have the look in all occasions, it is meant for specific places and depending on the shade you want to wear. You don’t want to wear a black smoky eye to a wedding unless you are an ex in a mission to cause drama. With that said, you need to know that the best way you can pull the look is by wearing three different shades of colour. It does not mean that you can’t apply one shade, but having a lighter, medium and a darker colour gives a smokier look that you want. 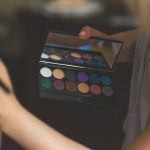 Just like the way you must have a shopping list when you want to do a comprehensive shopping without forgetting anything, you also need to assemble and make sure you have the right tools for the look, you do not want to look for brushes in the middle of your makeup application. For you to ensure that you need to assemble them in one place. If you have a dressing table, you are lucky as you already have them at one place. If you don’t have one, assemble them together at the place you are going to put on your makeup. Just what do you need? First, you need your brushes. You will need more than three brushes. The brushes should be clean for a more even look. For best result, you should go for domed eyeshadow brushed that have a rounded top. You need to choose your eyeshadow well. The best and the one that is mostly used is the powder one. That is because they are easy to work with and blend in nicely. Its true there might be some fall out of the powder on the chic but that easily be wiped out. For your face preparation, you need a concealer to take care of the red blemishes and an odd look. You need eyeliner too. If you want a more blended finish, choose a pencil and if you are looking for a smooth finish, you should go for a cream or a liquid liner. By this, I mean preparing your face before applying the smoky look. You need the concealer for the dark and red blemishes to make your face even and provide a good foundation for your smoky look. What do you need to do next? You need to prepare your eyelid for the shadow. That means you need to apply concealer to in case of any puffiness. After that, you need to apply a neutral powder and shape your brows. Make sure you colour them well. Remember the smoky eye are drawing attention to the eyes, they need to be perfect. At this point, you need to choose the colour you want to wear. Like mentioned earlier, any colour can be used. choosing three shades of colour one light, one medium and one dark will give a more dramatic and stunning look. Make sure the shades are of the same kind. Decide the look you want. What is the occasion? That will help you come up with it the perfect colours. If you have fair skin, avoid too bright colours and it should apply to dark people too. Avoid too dark colours if you are dark. You want to enhance your beauty not to spoil it, right? Now its time to start applying the shades. You first start with the lighter shade. Using one of the brush, you need to apply the lighter one on the inside corners of your eyelid. You should apply all over covering the under the eyebrows too from the beginning to the end. Are you done? Let’s go too next. This is the medium of the shade that you chose. Using the second brush, you need to apply the second shade of colour on the entire eyelid. You need to make sure that while you are on it, you blend in the inside corners so that it does not look like two colours but rather as one. The trick and the thing you need to be seen from this point is to at what point are you applying the colour. With this shade, you are not supposed to go up to the point of the underneath of the brows. Take note of that so as not to get it wrong. This is the last and the most deeper of the shades that you have. Using a third brush, you need to begin by applying the shade on the outside corner of the eye crease. You need to sip towards the outside of the face and upwards. 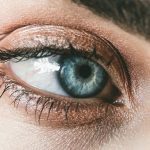 You need to remember that the darkest part of your eyes should be at the edge of your eye line, so you need to apply the shade on the inward-going up to achieve that. That is to make sure that the darkest point is too far from the eye for the eyes to appear open and brighter. At this point, you need another clean brush. You need to take the brush and start blending the colours. That is to make sure that they look more appealing and natural on your face. You need to make sure that there are no borders between the lighter and the dark shades. Now that you have attained the look, it is time to polish the look. You can do that by using the eyeliner on the upper and on the lower waterline. This is to add volume to the eyes and make the eyes to look bigger. After you are done, it’s time for mascara. You need to make sure you get the mascara right if you want a sharp look. Apply dark brown, soft black or grey for a subtle look and if you want a dramatic look, go for black. Apply two coats and make sure you apply it outwards and upwards. You need to make sure at the end of it all you have a balanced face. So, if you are applying a dramatic smoky eyeshadow, make sure your lipstick is of a neutral shade. If you don’t have heavier eyebrows, then you need to g darker to maintain the balance. Polish up the look and remove any oops moment on your chic with a brush. There you have it, you don’t need to be an expert to get it right. Smoky eyes can be worn by anyone with whichever colour you want to wear. All you need is have the time, the right tools and makeup, then you need to follow the laid steps. Now you are ready for your moment of stardom.